The new movie, starring the likes of Olivia Munn and Boyd Holbrook, had its third act drastically altered following test screenings earlier this year. But even before filming began, another conclusion that was scripted but never filmed saw one very exciting return. In the film as it stands, The Predator’s last scene shows Rory (Jacob Tremblay) working for government scientists and aiding their efforts to better understand the Predator technology. Holbrook’s Quinn McKenna is there, too, as the scientists come to grips with the ‘Predator Killer’; a piece of technology that allows humans to fight the Predator species – and win. But in the original script, we saw Dutch Schaeffer – meaning a brief comeback from the one and only Arnold Schwarzenegger. Birth.Movies.Death previously claimed to have seen the original script, saying that the last moments would have seen Rory and Casey (Olivia Munn) surviving the final attack of the Super Predator when a helicopter lands. From that emerges Dutch, with the script allegedly saying his face would have been “haunted; etched by pain”. When Dutch asks the group to go along with him and Rory asks if that includes him, he was set to turn to the youngster and say, “Especially you”. It’s no secret, however that Arnie declined the chance to appear. He told Yahoo! earlier this year: “They asked me, and I read it, and I didn’t like it — whatever they offered. So I’m not going to do that, no. Director Shane Black has also opened up on a separate deleted subplot that ended up on the cutting room floor. 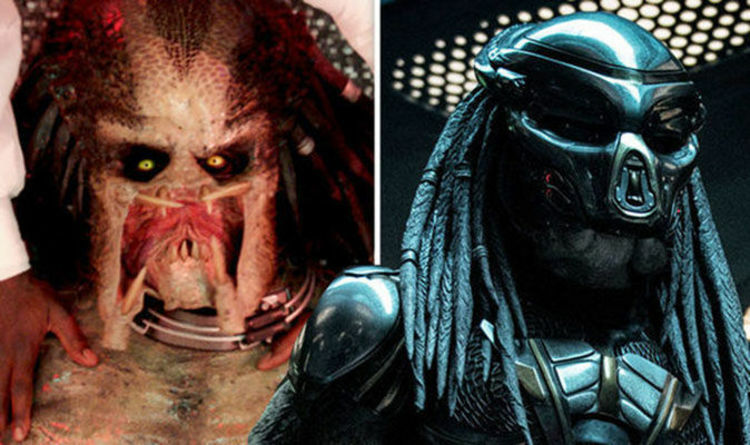 “Edward James Olmos played another guy who worked over Sterling K Brown’s character, who was trying to recruit the first Predator that arrived on Earth, and it communicated with him, and it invited him to Earth,” he told Digital Spy. “We shot Edward James Olmos in his office, and we shot him at the rescue site. We have a version in daylight where they attack the ship. They rescue the boy from the ship. They get away into the woods.